I’ve made quite some styles for the annuals over the years. I actually don’t remember exactly how many but I think it is around 15 styles so far. Whenever I make my maps I always wonder if the map I make can be made into a style for CD3. Most of my styles have been made this way. Two examples are the maps I made for the Trail of Cthulhu RPG campaigns Mythos Expedition (September ’14) and Cthulhu city (December ’17). Both those mapping styles where later turned into styles for the monthly annuals. Most of the time I have to flesh out the styles with more symbols then the ones I’ve used in my maps, so that the style will work on its own. 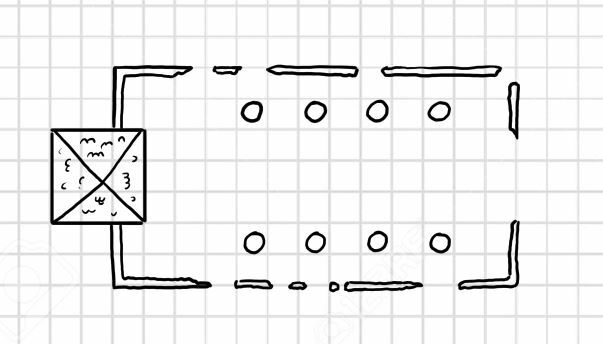 Other times I’ve made some styles when I’ve felt that I’m missing something in Campaign cartographer 3 or any of its add-ons. One example is my latest style, City ruins for City Designer 3. One of the things I really like is to just make different versions of villages and cities. It’s actually something I can sit and play with just for fun, dreaming up different places and try to make them as good looking as possible. But sometimes I feel that the styles in the program miss some bits and pieces, for example I had an idea of a map that I originally got from an old map of Firenze in Italy where people lived among the ruins from the Roman times. After the fall of the Western part of the Roman Empire the population in many towns shrank and a lot of the old buildings started to fall apart or where used as quarries. But in the middle of those fallen cities life continued and people built new houses among the ruins. This was the kind of city I wanted to draw. But I needed more ruins. So I started making my own ruins to be able to make the map I wanted. After a while I thought that this might be something others miss too so I decided to ask Profantasy if they might be interested in making a style out of the symbols, which they were. So how do I make the actual style? Well first of all I have to decide on what kind of symbols I need to draw. This is usually a process that continues during the whole time I’m making the style, since I seldom come up with all ideas at once. Another way of coming up with ideas for a style is actually to ask you, the users of the program, which is possible now since I found the Campaign Cartographer 3+ Facebook User Group on Facebook. This is the perfect place to find out if there is anything the community would like to see in the style. 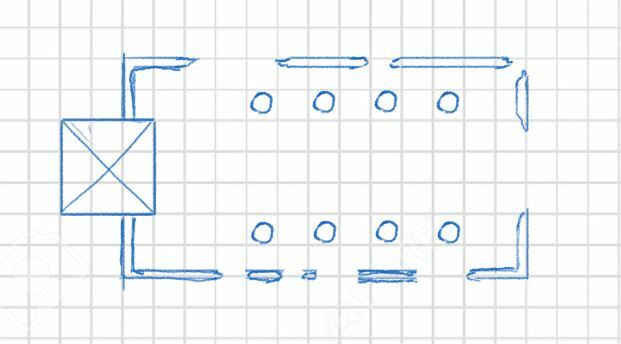 When I have come up with enough ideas for symbols I start to sketch them out in Photoshop. Usually I have a square grid as a bottom layer which makes it easier to make straight lines and to get the right scale on all the different symbols. After having finished the sketches it is time to ink the symbols. This I will do on a separate layer. Usually all steps will be made on different layers, which will make it much easier to change things later if necessary. After inking the symbols I add a layer for colours, sometimes I also add a layer for shadows, if needed. When I have all my different layers done, the symbols are finished and I cut them up in different files, one per symbol, and send them over to Ralf who will do the magic of turning them into a style for all of you to use. I hope you will like all the ruins, I sure will, and now I just have to make that map of the ruined city. The release of Dioramas 3 is imminent and we’re celebrating the occasion with a map and tutorial pack of a Bridge Diorama. The 9-page tutorial takes you through the design, construction and assembly of a multi-part bridge model. By printing and assembling as many parts as desired you can create a bridge of any required length. The July issue of the Annual 2018 previews a few of the new bitmap textures included in Dioramas 3, and once that is released, you can replace or expand the included textures in the drawing with the full set. The model is included both as a FCW file and a set of three A4/US Letter pdf pages that you can print as often as you like and need. You can subscribe to the Annual 2018 here. Once you have subscribed, the July issue will immediately become available for download on your registration page. For the June issue and the half-way point of the year we have a new set of symbols by Pär Lindström. 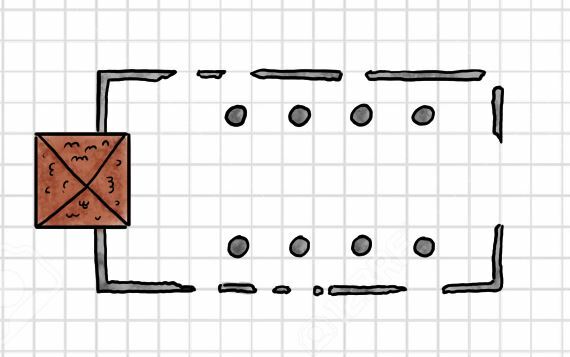 Not a full drawing style, but a fantastic addition to existing city maps – a set of ruined buildings. Need to depict some of the ancient ruins your thriving trade city is built on? A village was just recently burned to the ground and your looting adventurers are sifting through the rubble? Those mossy stones on the hill beckon a party of treasure hunters? Don’t worry, the City Ruins symbol pack has you covered. 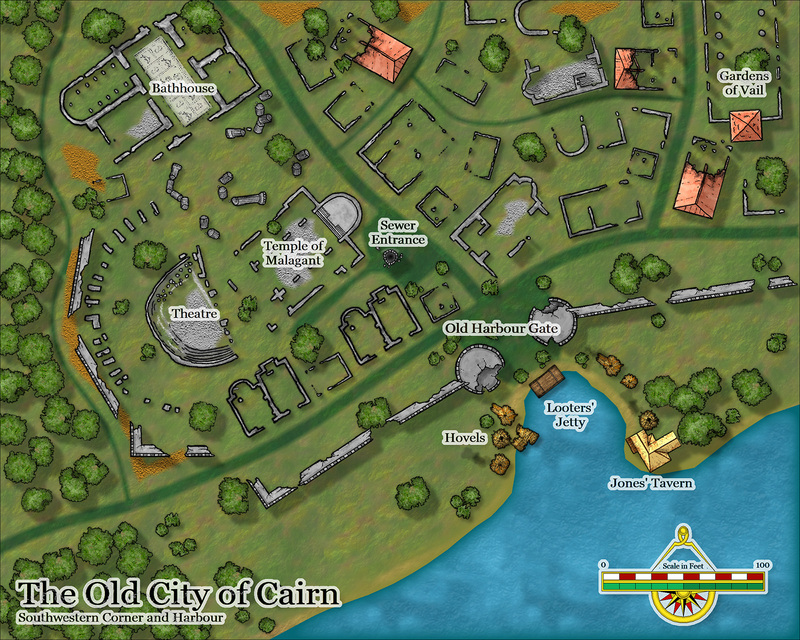 More than a hundred new symbols allow you to map those old town ruins, or that big rubble city quarter in detail and style. The accompanying mapping guide discusses how best set up the included symbols with sheets and effects. You can subscribe to the Annual 2018 here. Once you have subscribed, the June issue will immediately become available for download on your registration page. For the May issue of the Annual 2018 we have a classic overland mapping style, created by Glynn Seal, who previously created the Havenland style for the Annual, and is a prolific rpg map maker and rpg designer (check out his MonkeyBlood Design & Publishing website). The Myrklund style consists of more than 150 highly detailed symbols and bitmaps textures, that combine into a beautiful hand-painted look. 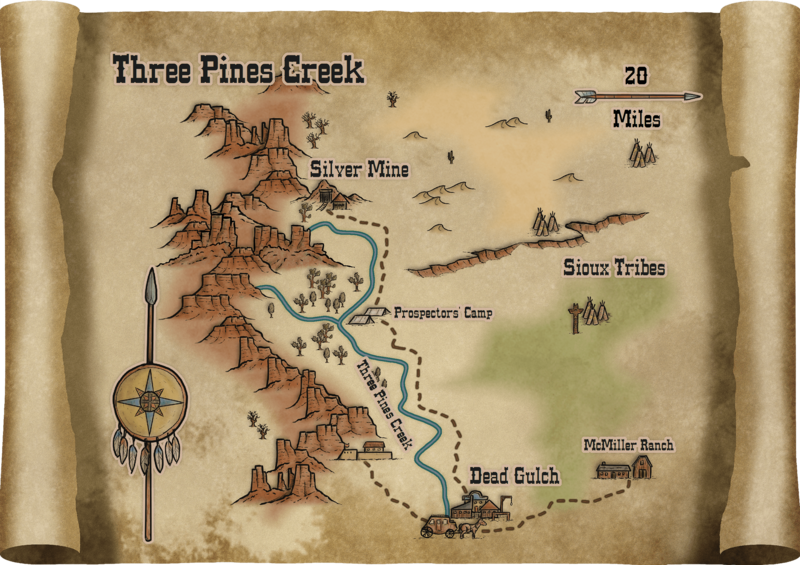 The 4-page mapping guide gives you a detailed walkthrough of creating an overland map in this style. You can subscribe to the Annual 2018 here. Once you have subscribed, the May issue will immediately become available for download on your registration page. For the April issue we are looking up into the sky to view the stars and find the patterns they make. 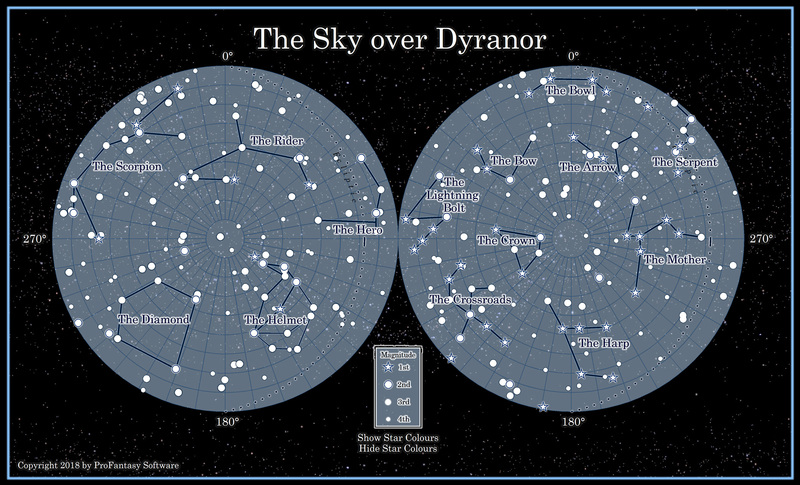 Inspired by the work of Alastair McBeath (Wyvern) and with his permission, we have taken the star charts he created for the Community Atlas project and converted them into templates, drawing tools and symbol catalogs for the Star Charts mapping style. These allow you to map out the night sky spanning over your fictional world and connect the different stars to form constellations, adding to the myth and wonder of the world. If you don’t want to place hundreds of stars by hand, the Star Charts style makes special use of the new Symbols in Area command to let you automatically and randomly fill the sky with stars of different magnitudes and colors. You can then use the included drawing tools to connect the most significant stars to form constellations that spring out from the jumble of lights in the sky. Check out the issue’s details on the Annual 2018 web page. Also see a preview of the Annual’s May issue and its Myrklund overland style by Glynn Seal. You can subscribe to the Annual 2018 here. Once you have subscribed, the April issue will immediately become available for download on your registration page. Attention: This Annual issue needs the latest update for CC3+ to work. Please log into your registration page to download and install Update 15 for CC3+. We are excited to introduce a new contributor to the Annual this month. Community member Christina Trani recently created a series of battle maps for Pelgrane Press’ encounter book “Fire & Faith”. We were delighted with the map work she did with CC3+, so we asked her to create a whole new series of maps for the Annual. The Curse of the Lich King map pack is the result. 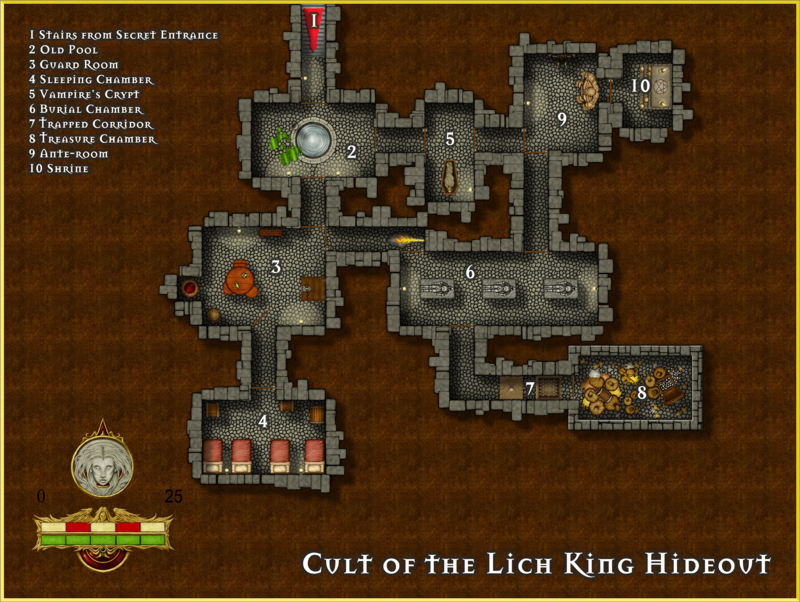 Enjoy four gorgeously detailed maps in both DM and player versions. 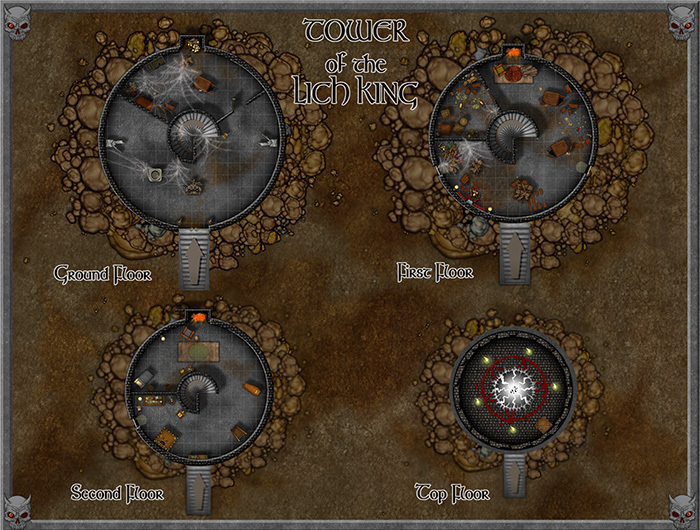 Let the Regional Map lead you to the Lich’s Tower, then navigate the Maze to find the undead’s Vault and, – if everything goes according to plan – destroy its unholy phylactery. Check out the issue’s details on the Annual 2018 web page. Also see a preview of the Annual’s April issue and it’s star charts style. You can now subscribe to the Annual 2018 here. Once you have subscribed, the March issue will immediately become available for download on your registration page. 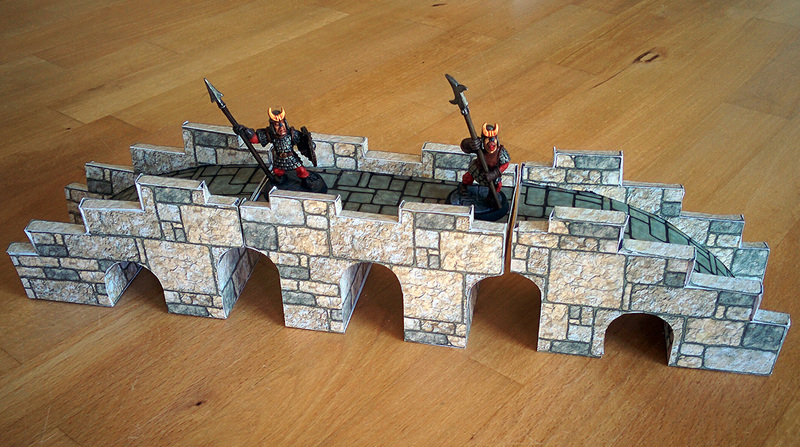 It’s time to delve underground, but we want to make sure our dungeon walls are properly build and nicely decorated. Explore a new feature of the Symbols Along command in version 3.80 of CC3+ (see Update 14 here), that allows you to auto-generate walls built from individual symbols. 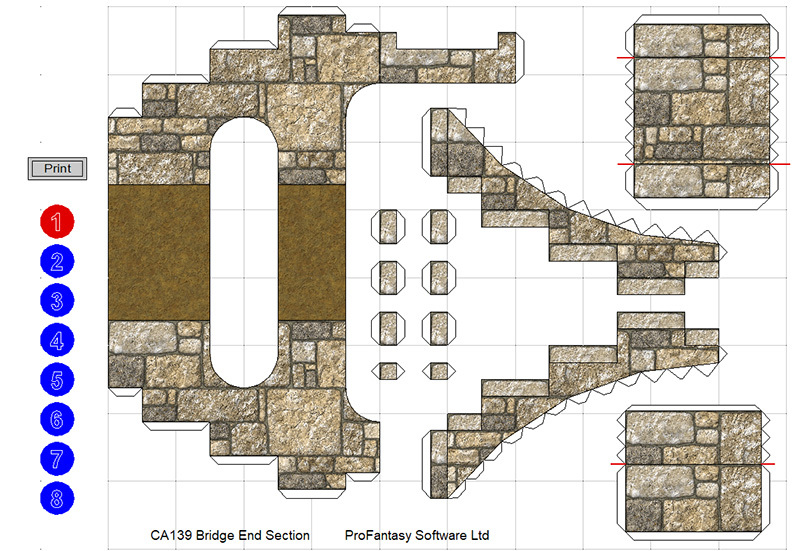 The February issue “Dungeon Walls” contains 60 new symbols for three different mapping styles, command and symbol settings to make quick and easy use of them, as well as a 4-mapping guide explaining the process. Check out the February style details on the Cartographer’s Annual 2018 website. You can now subscribe to the Annual 2018 here. Once you have subscribed, the January issue will immediately become available for download on your registration page. Welcome to 2018 and a new year of the Cartographer’s Annual with lots of mapping goodness! We hope you are as excited as us about delving into the twelfth year of our monthly subscription. This January we start with a hex-mapping variant of Mike Schley’s wonderful overland mapping style from CC3+. 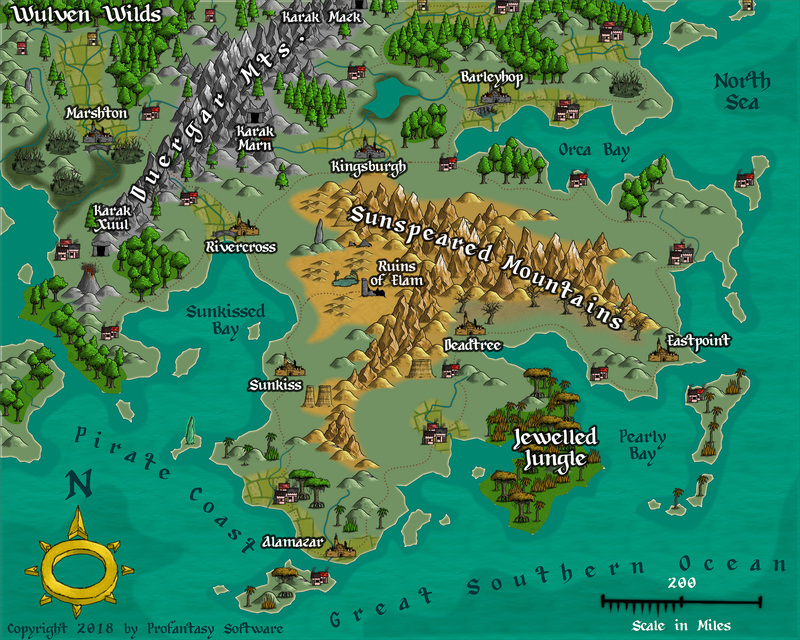 We provide new templates, new versions of the style’s drawing tools, a bunch of hex symbols and take a tour through the creation process of hex-based maps. Check out the January style details on the Cartographer’s Annual 2018 website. The Cartographer’s Annual 2018 is complete and we have a free bonus issue in store to cap the year. 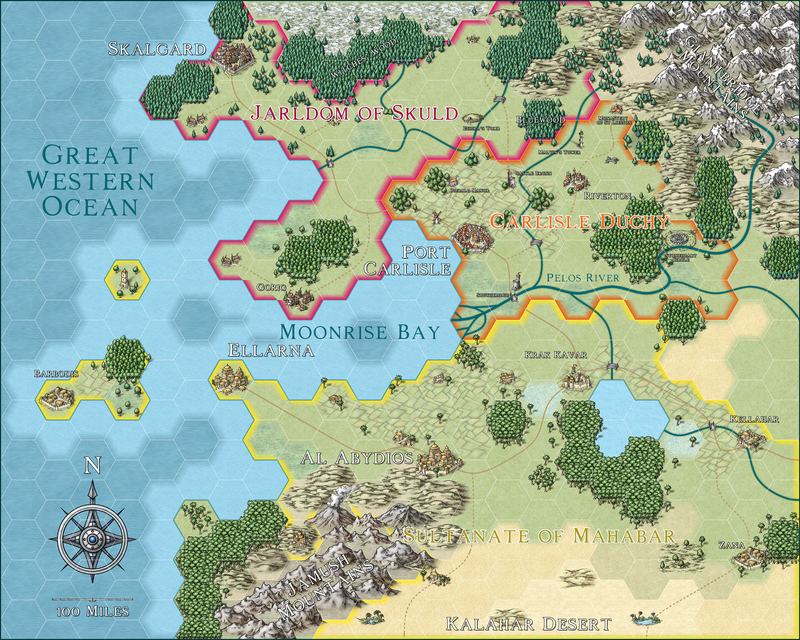 It is a set of beautiful bitmap artwork by community member Sue Daniel that lets you add scroll and parchments backgrounds to your maps. You can download the free issue directly from the Annual page or, if you have subscribed to the current year, from your registration page. We’ll shortly offer current Annual subscribers the option to re-subscribe to the Annual 2018. If you want to take advantage of the reduced rate for subscribers, you can still quickly subscribe to the Annual 2017 here. We close off the 2017 Annual (except perhaps for a little bonus issue) with another style by Pär Lindström. 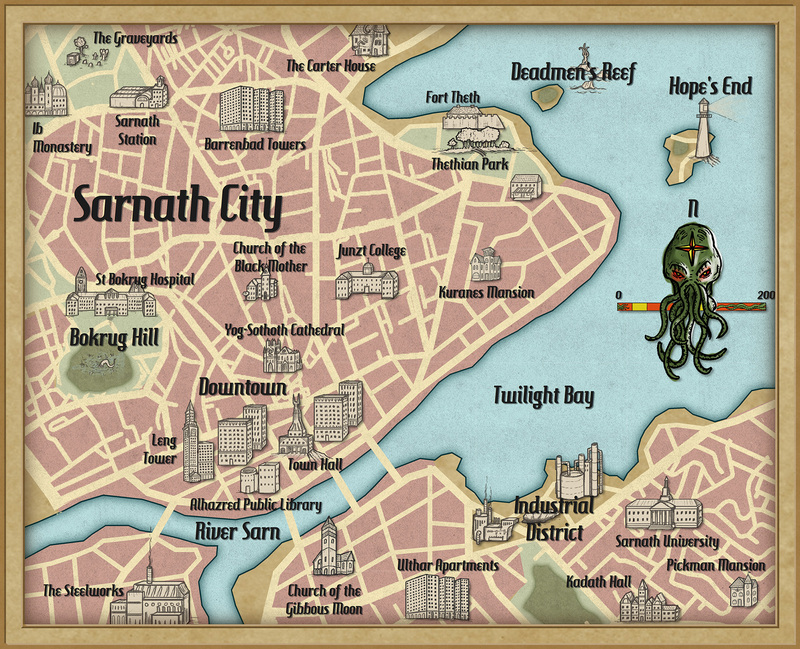 He created this wonderful new city style for the weird and ominous metropolis of Cthulhu City, a setting for Pelgrane Press’ Trail of Cthulhu role-playing game. Of course we took the opportunity to create a city style for CC3+ from it. Since the style doesn’t use the City Designer way of drawing individual houses and random streets, you can even use it fully without having CD3 available. The December issue is now available for CC3+ from the registration page for all subscribers. If you haven’t subscribed to the Annual 2017 yet, you can do so here.